As death and despair follow in Hart’s wake, Sullivan knows he must do something to stop Hart before even Sullivan himself succumbs – but what…? First published on 31 October 2012. Re-released in a revised edition on 16 July 2016. 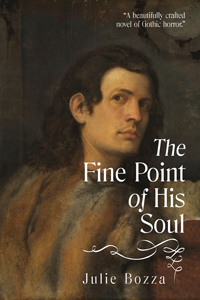 My alternate history, The Fine Point of His Soul, received its first review on Goodreads from its proud dedicatee! It has also received terrific, thoughtful reviews on the Jessewave site – which is particularly appreciated, as their main focus is male-male romance, a theme which is only a subplot in this novel – and also from Narrelle Harris, a writer who knows how to spin a darn good yarn. 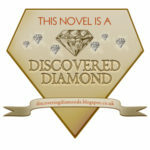 It has since been awarded Discovered Diamond status! Excerpts: … an excellent read. … not exactly a romp, but the action moves along at a good pace, the dialogue is suitable for the ‘romantic’ poets and the plot and settings authentic. … an intriguing mystery and very well told to boot! Excerpt and summary: Bozza … evokes the language and cadences of the time period without sounding like a pastiche – her prose has an easy, thoroughly readable flow. Through Andrew Sullivan she has a narrator who is practical but has a love of the noble and poetic, particularly explored through his friendship with Keats and the discussions he has with all the poets. Bozza writes artists who converse like artists without getting pompous or sounding like she’s simply reworking material from their own poetry or diaries. Her understanding of the poets in question and their worldviews feels extensive, and she manages to incorporate these ideas with a light touch and a sensibility for how they impact the characters, their interactions and the overall story. … the inexorable pace of it is taut and full of anticipation. … The Fine Point of His Soul is a beautifully crafted novel of Gothic horror, evoking original tales of the time period while achieving its own storytelling voice. Bryn Hammond said: The trio of star Romantic poets, Keats, Shelley, Byron – sort of like the Three Musketeers – with each his companion or offsider (wife, servant, friend) and – if I’m going to run with the Three Musketeers – our d’Artagnan is nothing of a poet, he’s a lieutenant in the navy, who requires their help or other input – it isn’t always assistance, at least from Byron – in a secret mission, sensitive both to the Home Office and to the lieutenant’s heart. … [Recommended] If you like unlikely heroes in speculative histfic, or want to meet Bryon, Shelley and Keats. Believe me, you want to meet Keats. Sanna said: Unusual, skillful incorporation of real historical figures with a fascinating narrator and fantastical gothic story. Abigail Bok said: This is an odd little book, but I found considerable interest in just about every page of it. I enjoyed the characters’ companionship, their attachments and their conflicts; and their dialogue and activities seemed believable. I felt they were all people I might know. … I was especially delighted to discover an author who is writing as she pleases, without looking over her shoulder at what “readers” might want or expect. The greatest pleasure I found in the reading was its unpredictability—the fact that it was not written to some kind of formula or genre. The author followed the story where it led her. I hope to find more such works! 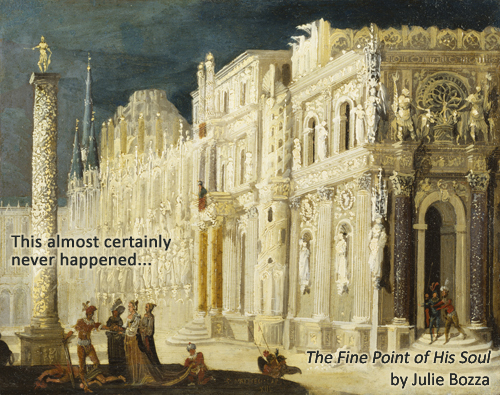 Lisa Scott: The Fine Point Of His Soul is an innovative historical mystery, set in Rome in the 19th century. 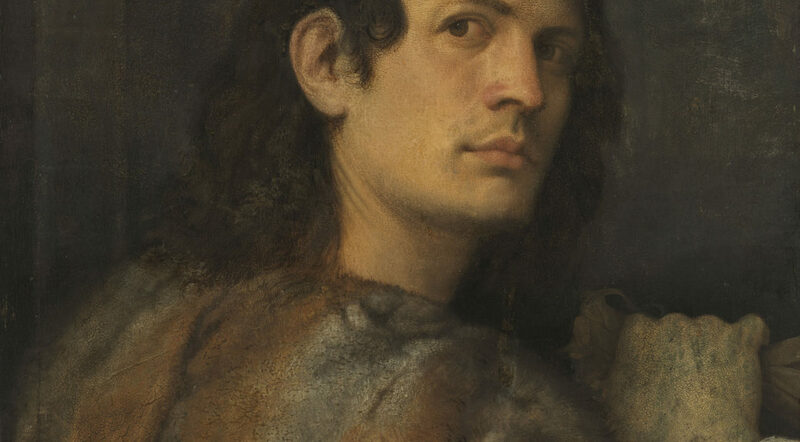 It is a tale of friendship and the encounter between good and evil featuring the Romantic Poets, a valiant naval lieutenant and the inscrutable figure of Iago. Somebody has stolen important papers from the English government. The lieutenant must travel to Rome to retrieve them from the suspected thief. He enlists the help of John Keats and his friends and together they embark on a journey that will lead to disturbing and fatal events, causing them to doubt their own sanity. I loved the premise of this enthralling novel – a fusion of true historical facts and settings with a ‘what if’ scenario. 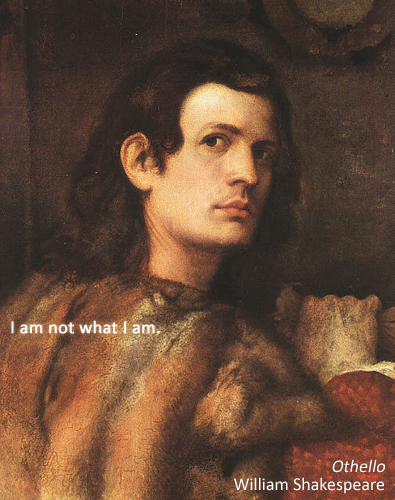 The scenario being what could Keats have got up to in the last few months of his life, after he had been quarantined aboard the Maria Crowther in the Bay of Naples. It is a wonderfully written tale with a well-realized historical setting, very likeable characters and an intriguing original plot. In reading I was transported to the piazzas and pavements of C19th Rome and longed to be part of the ‘gang’ so I could join in with their tea drinking and plotting. The story contains some references to literary details, which a less cultured reader (like myself) may have felt a little daunting – but not to worry, as the lieutenant is not so well read either and so the author kindly ensures that where necessary, explanations are given to the lieutenant and vicariously to the reader via Keats and his friends. The author’s knowledge and love of Keats emanates from the pages, which makes the book all the more a joy to read.